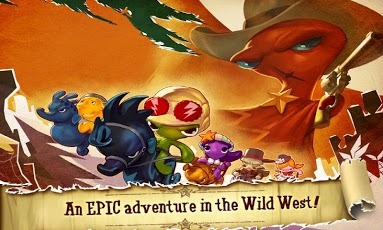 The popular Apple iOS Game Squids Wild West is now available for download on your Android phone or tablet.The awesome Android game is packet with exciting features like Story that mixes fun and action together,easy to use controls and the classic game elements one looks for in a RPG. The Game offers good looking graphics packed with decent sound,The Gameplay is simple first choose your character and Recruit your custom Squid army from 12 characters each with specific abilities like shooters, scouts, troopers, and healers. 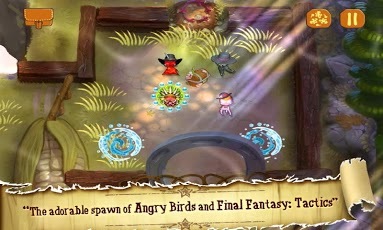 After choosing your army you are set into a turn-based battle in different landscapes in each level of the game.There is also a HD version of this game which you can get on the play store. 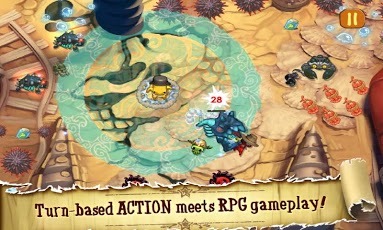 Finally,the game is packs all the elements of a good adventure RPG game but might not be the best RPG you'll play.